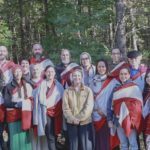 Dakini Mountain ~ This meditation retreat will offer the extraordinary opportunity to chant and study Invoking the 100,000 Dakinis, an inspiring Tibetan Buddhist prayer from the Dakini’s Heart Essence. 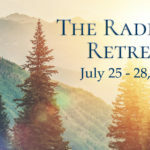 Closed Retreat ~ The annual Vajra Sangha retreat is a private weekend retreat full of deep practice of meditation and study of Dzogchen, Buddhism’s esoteric philosophy. 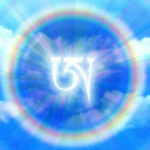 It is a celebratory reunion of the Vajra Sangha from all over the world. 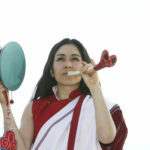 The retreat is led by Pema Khandro Rinpoche at her headquarters in Virginia, Khandro Ling. Are we supposed to be “enlightened?” Are we supposed to be perfect? If not, how do we measure our lives as Buddhists? If we are not expecting that, what standards are we holding ourselves to? Once I knew a Buddhist who regularly quoted a passage explaining why it was ok that he was grouchy all the time. It was a passage from the Divyavadana, a second century collection of Buddhist stories. In this passage, the Buddha gave advice to his disciples, explaining that the ethos with which a buddhist could live – not as someone who believes themselves to be perfect, but as one who is authentically present with their own limitations and flaws. Does perfectionism have a place in a tradition focused on such a high goal as enlightenment? Perfectionism and Dzogchen’s ‘ Great Perfection,’ are referring to two different things. The first is the self-hate which can appear the guise of spiritual terminology and the latter is the sense of wholeness and peace that comes from connecting with our innate goodness. Buddhism’s Dzogchen teachings focus on the idea that every person, every one of us, has buddha nature, so we are all equally good in our intrinsic nature. Through becoming familiar with our buddha-nature, we ordinary human beings (even flawed ones) can relax. We can accept the whole situation of our wisdom and confusion as workable. We can even be beneficial and benevolent forces in the world. Our practice is not to be perfect, it is to be present – present with the whole situation of what we are. Presence includes the whole situation of life – relating to our limits, confusions and challenges. It takes a great deal of wisdom to acknowledge and work within our limits. To aspire to such a maturity is worthwhile. This is a view that is compassionate to the situation of practice, we have an intrinsic goodness which is like a sun that never sets. We are training and evolving our understanding, while simultaneously accepting where we are. Our compassion runs both directions, inwardly and outwardly. This is how we can progress in the path without manufacturing egomaniac delusions which overlook our own limits in an attempt to grasp at an ideal. Even the greatest Tibetan Buddhist teachers do not claim to be ‘enlightened’ – those praises may be said about them in hagiographies but Tibetan Buddhists themselves regard themselves as ordinary human beings defined by having enlightened intent. In light of their example, getting hung up on not fulfilling expectations of supernatural levels of realization and cosmic perfection is a distraction from genuine practice. Indulging in self-hate (or its partner- judging others harshly) is a distraction from genuine practice. Self-hate is another form of grasping to self. Dropping it supports letting go of the pursuit of the ‘self’ and this gives way to a more gentle attitude towards ourselves and our world. But is there a point where we should be worried? Maybe we don’t expect ourselves to be superhuman cosmobots… maybe we don’t expect ourselves to be invincible, immortal or infallible…. but we don’t want to succumb to the laziness of allowing neurosis to run unchecked either! To practice Buddhism is to deal with the ambiguous situation of having both wisdom and confusion. At any moment wisdom or confusion may be operant, so our vigilance and attentiveness is required. What are the boundaries of practice in this context? 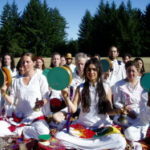 When real human beings practice, how do we monitor ourselves? How do we drop the spiritual materialism of perfectionist fantasies without dropping discipline altogether? Are we supposed to be enlightened? If not, when should we be alarmed? What are realistic boundaries for ordinary practitioners to measure ourselves by? Aren’t You Supposed To Be Enlightened? Two possible answers come from the great Dzogchen teacher, Longchenpa, who provides us with some advice in his pith instructions. 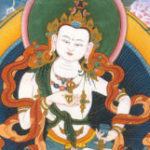 (2) Longchenpa was the great 14th century Tibetan yogi, philosopher of Tibetan Buddhism’s Nyingma lineage. 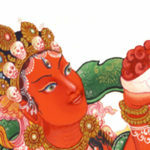 Longchenpa says: If we don’t know what is and is not permitted by the vows we hold – we should be alarmed. It is alarming when we still do not know what is virtuous or harmful. It is alarming when we have no intention to put teachings into practice. This is pragmatic advice which gives a measurable goal to the path. For people who don’t have vows, then perhaps this could be translated as knowing your core values. In a general sense, knowing the core principles that we live by can save a great deal of time and energy that gets wasted when we spin our wheels in self justifications or self doubts. Any choice can be rationalized or justified to some extent. But life is simpler when we have enduring core values that transcend the machinations of our momentary rationale. We can refer to our vows/values to cut through to simplicity. There is a clarity and straightforwardness that comes with vows. Vows bring a decisive clarity to our lives. There are things we just will not do. To have vows is to set a standard for ourselves so that we can be freed to invest our earnest attention in questions of greatest importance or rest our minds in quiet spaciousness. Uncertainty and anxiety about many decisions has already been eliminated – because we know what we stand for (and what we will not stand for). 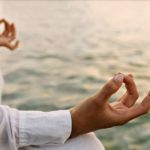 What are Buddhist vows? For all Buddhists there is the five precepts which underscore a personal moral code. 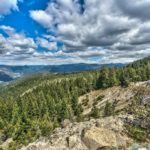 There is also the bodhisattva vow – or the fourteen vows of Vajrayana – these are decidedly interpersonal in nature – underscoring the emphasis on relationships with others. Buddhism offers these codes to live by – as a way to eliminate unnecessary obstacles on the path. Whatever the vows we have taken are, knowing them and understanding them is an aid to the goal of living wakefully and authentically. Vows offer set parameters for training. This generates the simplicity, dignity and confidence of a Buddhist life. A Buddhist is not just doing whatever they feel like. To do so would be to obey the compulsive dictates of habit – karmic scripts. The peril that Longchenpa warns us against goes beyond just having values and taking vows. It is not just about morals (the what) but about ethics (the why). His advice is that we must understand our code, we must understand what is beneficial and harmful, knowledge that comes from putting teachings into practice. If we do not intend to put teachings into practice this is cause for alarm. In Tibetan Buddhism it is not enough to follow rules rotely – personal understanding is the goal of the path. Or if, we do follow rules like robots, it should be seen as temporary, as training wheels, as a stage, with the focus on gaining direct understanding. This is why study and inquiry into our mind is an essential and indispensable aspect of a Buddhist life. As a beginner we can avoid harming others because it is the first precept. Then as we apply this practice and as we fail to apply it, we come to see the wisdom behind it. To harm others is to harm ourselves. To harm others is to live in a dismal world of hell and sadness. To avoid harming others gives a sense of joy and purpose to our lives. It cultivates a beautiful world colored by kindness and goodness. But most Buddhists are not murderers and most Buddhists do not need to be told not to kill others. So what is highlighted goes beyond moral mandates – it points to realizing the underlying ethics beyond our vows – we must know their meaning and purpose. This refers to a level of maturity, intelligence and understanding – ethical development. Ethical development may not be as unsexy as it sounds. In Buddhism – ethical development is tied with investigating the nature of reality itself. According to Dzogchen, reality itself is ethical. (3) To be in tune with our nature is to be in tune with an underlying ethic of natural compassionate goodness. In the modern global context which is secular, materialistic and pluralistic – the codes we live by are no longer predetermined, stable and given. Ethical education is missing in our culture. This creates an alarming situation because to live without ethical development is means that we can stagnate in ambiguity and struggle. Or we learn more things the hard way than necessary – and that is a waste of precious time. Therefore it is important to deliberately develop ethical understanding that can only come from living by a code – following vows and putting teachings into practice. There are many situations which are morally ambiguous and vows do not cover everything. Proper interpretation is critical. When interpretation is critical – development of keen individual intelligence is central. The basic assertion of Buddhism is that human beings live in a world of their own interpretations – that we must wake up to this problem of our projections (aka samsara) to see reality more clearly as it is. Thus attentiveness to interpretation is a central theme of the Buddhist path – both in terms of be attentive to the interpretative bias we bring to experience and in terms of understanding vows. This story represents an acknowledgement of ethical complexity in regards to vows. The senior monk understood that in saving and helping the woman, he was not breaking a vow which had the intention of shielding him from sexual misconduct. Understanding the meaning is crucial for wisdom conduct. And if we are not oriented towards the meaning behind dharma teachings, perhaps we should be alarmed. A second cause for alarm – is a pragmatic one – if we don’t see results from practice. 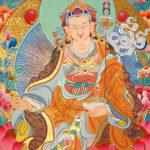 Longchenpa says – It is alarming when you are not giving rise to enlightened qualities or having results from practice. It is alarming when you are not overcoming your obvious fixations and confusions. This is also pith advice from one of my favorite dharma teachings of all time. It was in 2001, a public teaching given by Gangteng Tulku Rinpoche. The theme of the teaching was – if you are a Buddhist and your mind poisons are not reducing – something is wrong. Our Buddhist practice should have a practical result of easing our mind and our state of being. The five poisons of the mind describe a spectrum of mental afflictions – anger, closed mindedness, grasping, jealousy/envy, and arrogance or insecurity. After applying oneself to dharma study and practice with diligence, if the afflictions are not reducing, then one must pause and ask questions. First, are we truly applying practice and study consistently with diligence? If not – this is why the poisons of the mind did not reduce. Another possible reason for such result-less-ness – we may not be approaching practice with proper motivation. Longchenpa says -It is alarming when we are no longer training in developing bodhichitta. In other words, if we are approaching dharma with a self-absorbed mindset – it will not have results. Tibetan Buddhism suggests that if we do not have bodhichitta – altruistic enlightened intent while doing practices – they will not work. Whatever the reasons may be – it is useful to investigate what changes or adjustments might need to be made. In other words, there is no need to just practice endlessly without results. Quite the contrary. If we are not getting results, we should check our situation, confer with our teacher and make adjustments. Are we supposed to be “enlightened?” Are we supposed to be perfect? If not, how do we measure our lives as Buddhists? The standards we can train within are measurable and tangible. They provide an alternative to spiritual perfectionism, self hate or egomaniac delusions. These standards are quite sober. They are – the understanding of vows and the quality of mental/emotional states – we can reflect on these issues pragmatically and tangibly. This gives way to a grounded practice – one that has descended from god realm fantasies of perfection but is still a structure for self-reflection and growth. (2) Longchenpa. man ngag mdzod. “mdzod bdun.”(TBRC: W22920). Also see the english translation: Rabjam, Longchenpa. Richard Baron Transl. The Precious Treasury of Pith Instructions. (Padma Publishing, Junction City, California, 2006). (3) Dzogchen teachings assert that the fabric of reality, also known as the ground of being is emptiness, presence and compassion – therefore it asserts that ethics is ontological. (4) This includes attending to medical issues and psychological imbalances – Tibetan Buddhism has had an abundance of skillful means available for such issues. Some of these may be culturally specific however, so it is worthwhile to consider what wisdom is available in our own culture which could help provide additional support – such as psychology and modern medicine.